1,917 events were registered for 2019! 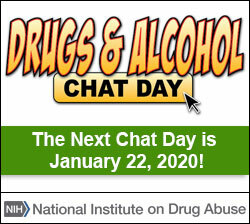 We could not have done National Drug and Alcohol Facts Week® (NDAFW) without you. You are AWESOME! 2019 Registration is now closed but will reopen for NDAFW 2020 in August. As we look forward to the future we have to take pride in our accomplishments and learn from our experience. But we need your help! Please send images from events as digital files (no PDFs) to nidamultimedia@mail.nih.gov. Include correct spelling of each participant’s name, age (or school year) and name of organization/school. If photos are part of the NDAFW campaign, please also include information about the event. Files must be 10 MB or smaller. Your event photos will be posted to our Flickr site as well as on our site. Also, check out our Highlights from NDAFW Events section. Thank you! And we can’t wait for next year! With your help it will be bigger and better---and we can continue to help our teens SHATTER THE MYTHS® About Drugs!